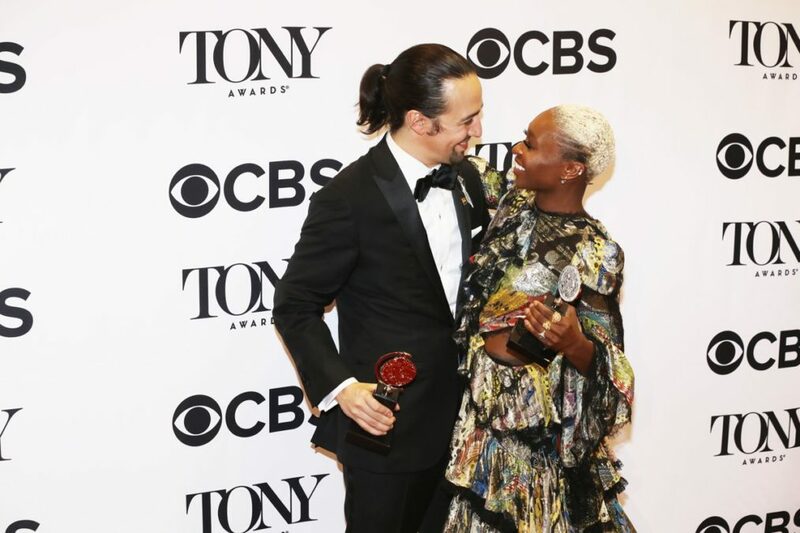 2016 Tony winners Cynthia Erivo and Lin-Manuel Miranda are among the newly announced stars set to appear at the 2017 Tony Awards ceremony on June 11 at Radio City Music Hall. The Tonys will be broadcast live on CBS at 8:00pm EST. Broadway’s biggest night will also feature onstage appearances by Scott Bakula, Sara Bareilles, Rachel Bloom, Glenn Close, Brian d’Arcy James, Sutton Foster, Whoopi Goldberg, Jonathan Groff, Mark Hamill, Christopher Jackson, Allison Janney, Nick Kroll, John Legend, John Lithgow, Patina Miller, John Mulaney, David Oyelowo, Chazz Palminteri, Sarah Paulson, Lea Salonga, Tom Sturridge, Tommy Tune and 2017 Broadway.com Audience Choice Award winner and Tony nominee Sally Field. The star-studded group will join a lineup of previously announced onstage appearances by Orlando Bloom, Stephen Colbert, Tina Fey, Josh Gad, Taraji P. Henson, Scarlett Johansson, Anna Kendrick, Keegan-Michael Key, Olivia Wilde, and 2017 Tony nominees Josh Groban, Bette Midler and Ben Platt. The American Theatre Wing’s 71st Annual Tony Awards will be hosted by Tony and Academy Award-winning actor Kevin Spacey. The Tony Awards are presented by The Broadway League and the American Theatre Wing.